Created to provide helpful information about the California Cannabis Industry. How can BioTrackTHC keep you compliant with METRC in California? UPDATE: 5/25/18 — The California Department of Public Health has filed the proposed re-adoption of the emergency regulations with the Office of Administrative Law. This filing marks the start of the five-day public commitment period and the 10-day OAL review period. Three California agencies that oversee licensing for the state’s marijuana companies issued updated emergency regulations; Bureau of Cannabis Control, Department of Food and Agriculture, Department of Public Health. UPDATE: 11/29/2017 – The California Bureau of Cannabis Control has officially released emergency regulations that outline how the state’s entire cannabis program, both medicinal and adult-use, will be required to operate as of January 1, 2018. Full details including licensing types and track and trace requirements can all be found below. UPDATE: 9/25/2017 – The California Bureau of Cannabis Control released official requirements for temporary licenses to allow businesses to begin sales and operations starting on January 1, 2018, without facing delays that would stem from a large influx of license applications. Info can be found below. UPDATE: 6/21/2017 – The period for the public to submit feedback regarding the draft rules and regs has concluded. The state is no longer accepting feedback via either in person or written. UPDATE: 5/11/2017 – The state is accepting feedback submissions from all stakeholders via written or in-person comments. 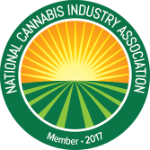 UPDATE: 5/8/2017 – Standardized cannabis testing procedures and licensing info were proposed on Friday, May 6, 2017. Check out the Laboratories tab below for information regarding feedback submission on the proposed rules. Interested parties have until June 20, 2017 to submit feedback via written comments. The lab testing rules and regulations are developed by the Bureau of Marijuana Control. UPDATE: 5/1/2017 – Licensing information added for California’s dispensary, cultivation, transportation, distribution, and processing programs. A temporary license is a conditional license that allows a business to engage in commercial cannabis activity for a period of 120 days. The Bureau can only issue a temporary license if the applicant has a valid license, permit, or other authorization issued by the local jurisdiction in which the business intends to operate. The Bureau intends to start issuing temporary licenses January 1, 2018 and expects to begin accepting applications prior to that date. Temporary licenses will be effective starting January 1, 2018, no sooner. Local jurisdiction authorization: A copy of a valid license, permit, or other authorization issued by the local jurisdiction where the business is operating that allows the applicant to conduct commercial cannabis activity at the location. Local authorization may vary by local jurisdiction and must specify that the applicant is approved for commercial cannabis activity. License type requested: Distributor, Retailer, Microbusiness, or Testing Laboratory. License designation requested: A-License, adult-use or M-License, medicinal. Contact Information: Designated primary contact including first and last name, title, address, phone number(s), and email address(es). Premises Diagram: A diagram of the business’s layout at the proposed location. For more information, please visit the Bureau of Cannabis Control website. In order to receive a license from the state, businesses must first be in compliance with their local law. Upon receiving an application for licensure, the state will reach out to your local municipality in which you’re operating, where they will have 60 days to report back to the state on whether or not your business is currently in compliance with local rules and regulations. If you are not in compliance with local law, your application will automatically be rejected. Individuals are not allowed to have any interest in multiple licenses, licensees, or “person with financial interest”. Failure to comply with the provisions of this division or any rule or regulation adopted pursuant to this division. Any other grounds contained in regulations adopted by a licensing authority pursuant to this division. Failure to comply with any state law including, but not limited to, the payment of taxes as required under the Revenue and Taxation Code, except as provided for in this division or other California law. Knowing violations of any state or local law, ordinance, or regulation conferring worker protections or legal rights on the employees of a licensee. Failure to comply with the requirement of a local ordinance regulating commercial cannabis activity. The intentional and knowing sale of cannabis or cannabis products by an A-licensee to a person under 21 years of age. The intentional and knowing sale of medicinal cannabis or medicinal cannabis products by an M-licensee to a person without a physician’s recommendation. Failure to maintain safe conditions for inspection by a licensing authority. Individuals holding a state testing laboratory license are prohibited from licensure for any other activity. Licensed premises may not be within 600ft. of a school. Applicants may not have any felony convictions involving violence, fraud, deceit, embezzlement, employee-activity related, and more. Inability to follow any of these requirements can mean forfeiture of your license or denial at the 12 month renewal period. Dispensaries sell legal cannabis, and cannabis products, to responsible adults in compliance with local regulations. In California, Dispensaries are licensed by the Bureau of Medical Cannabis Regulation. Licensed dispensaries will be able to operate between the hours of 6am and 9pm local pacific time. Licensees shall not sell more than eight (8) ounces of medical cannabis in a single day to a single medical cannabis patient. Dispensaries are allowed to accept returned medical cannabis products, however, they may not be resold and must be properly destroyed and recorded. Free samples are not permitted, regardless of any circumstances. Exit packaging will be required for each purchase/customer. Dispensaries may hire delivery employees to perform in-person deliveries of medical cannabis to registered medical patients. May only deliver medical cannabis to physical California addresses. There will be an estimated 20,000 Dispensary Licenses in California. A distributor may take title to and possession of medical cannabis after harvest but prior to manufacturing. A distributor may sell the medical cannabis to a manufacturer or enter into a contract with a manufacturer for manufacturing the medical cannabis into medical cannabis products. Distributors are responsible for transporting cannabis to a licensed testing laboratory and make arrangements for testing and pickup for final delivery to a licensed cannabis dispensary. A transporter, who is licensed by the bureau of medical cannabis regulation, may transport medical cannabis goods between licensees. California will require dispensaries, distributors, and transporters, to track and trace all of their cannabis-related products for regulatory and compliance reporting requirements. Our Dispensary Point of Sale and inventory management system provides comprehensive seed-to-sale cannabis tracking with a focus on compliant data points. We are 100% compliant in California; let us sweat the details so you can run your business. If your state requires seed-to-sale systems to stay compliant, BioTrackTHC has you covered. Our system is customized to meet the unique regulatory frameworks in each and every state. For full rules and regulations on California’s medical cannabis dispensing, distribution and transportation program, click here. Grower (also commonly referred to as Producers or Cultivators) – Cultivators are responsible for growing cannabis. In California, Cultivation licenses are distributed by the California Department of Food and Agriculture (CDFA), collectively referred to as CalCannabis Licensing branch. Cultivation licenses shall be valid for 12 months (1 year) from the date of issuance and shall be renewed annually. Every person shall obtain a separate license for each premises where it engages in commercial cannabis cultivation. Cultivation licenses are not transferable or assignable to any other person, entity, or property. Licensees are prohibited from selling, bartering or donating any commercially cultivated cannabis from their licensed premises directly to an unlicensed premises or individual. Cultivators may not use any pesticide that has been banned for use in the state. The California Department of Pesticide Regulation will address any requirements surrounding use of pesticides with cannabis cultivation. How many Medical Marijuana licenses are being awarded in California? Here is a list of all California cannabis cultivation license types, their definition and their annual licensing/renewal fees. Type 1C – Specialty Cottage Outdoor – An outdoor cultivation site with up to 25 mature plants. Type 1D – Specialty Cottage Indoor – An indoor cultivation site with 500 sq. ft. or less of total canopy. Type 1 – Cultivation; Specialty Outdoor; Small – An outdoor cultivation site with less than or equal to 5,000 sq. ft. of total canopy, or up to 50 mature plants and noncontiguous plots. Type 1A – Cultivation; Specialty Indoor; Small- An indoor cultivation site between 501 and 5,000 sq. ft. of total canopy. Type 1B – Cultivation; Specialty mixed-light 1; Small – A mixed-light cultivation site between 2,501 and 5,000 sq. ft. of total canopy. Specialty mixed-light 2;- A mixed-light cultivation site between 2,501 and 5,000 sq. ft. of total canopy. Type 2 – Cultivation; Outdoor; Small – An outdoor cultivation site between 5,001 and 10,000 sq. ft. of total canopy. Type 2A – Cultivation; Indoor; Small – An indoor cultivation site between 5,001 and 10,000 sq. ft. of total canopy. Type 2B – Cultivation; Mixed-light 1; Small – A mixed-light cultivation site between 2,501 and 5,000 sq. ft. of total canopy. Type 2C – Cultivation; Mixed-light 2; Small – A mixed-light cultivation site between 2,501 and 5,000 sq. ft. of total canopy. Type 3 – Cultivation; Outdoor; Medium – An outdoor cultivation site between 10,001 sq. ft. and one acre of total canopy. Type 3A – Cultivation; Indoor; Medium – An indoor cultivation site between 10,001 and 22,000 sq. ft. of total canopy. Type 3B – Cultivation; Mixed-light tier 1; Medium- A mixed-light cultivation site between 10,001 and 22,000 sq. ft. of total canopy. Type 3C – Cultivation; Mixed-light tier 2; Medium- A mixed-light cultivation site between 10,001 and 22,000 sq. ft. of total canopy. Type 4 – Cultivation; Nursery – Cultivation of cannabis solely as a nursery. What kind of track and trace system do I need to operate a Cultivation Facility? California requires an extensive seed-to-sale cannabis tracking system to monitor cultivation efforts and inventory. Our cultivation seed-to-sale-tracking solution provides comprehensive data tracking with an emphasis on compliance. We are 100% compliant in California; let us sweat the details so you can run your business. Customized to meet the unique regulatory frameworks in each state, BioTrackTHC also features an all-in-one business tool to help you operate every aspect of the cultivation business by itself, or as part of the vertically-integrated cannabis business. For full rules and regulations on California’s medical cannabis cultivation program, click here. Processors – Processors take harvested cannabis from Cultivators and create derivative extracts for edibles, concentrates, topicals, and prepacks. Finished products are transported to Dispensaries. In California, Processors are referred to as Manufacturers and are licensed by the Office of Manufactured Cannabis safety. The state’s Department of Public Health is responsible for issuing the rules and regulations in regards to cannabis manufacturing. Operators must obtain a license for each separate premises at which medical cannabis products will be manufactured. Type P – For entities that only package or repackage medical cannabis products or label or relabel the cannabis product container. Type N – For manufacturers that produce edible products or topical products using infusion processes, or other types of medical cannabis products other than extracts or concentrates, and that do not conduct extractions. Type 6 – Manufacturer Level 1 – For extractions using mechanical methods or nonvolatile solvents. Type 6 licenses may also conduct operations in accordance with licenses Type N and Type P.
Typer 7 – Manufacturer Level 2 – For extractions using volatile solvents or mechanical methods on the licensed premises provided that the extraction process is noted on the application form and the relevant info is provided to the Department. Type 7 licenses may also conduct operations in accordance with licenses Type N, Type P, and Type 6. Not designed to be appealing to children or easily confused with commercially sold candy or foods that do not contain cannabis. Produced and sold with a standardized concentration of cannabinoids not to exceed ten (10) milligrams tetrahydrocannabinol (THC) per serving. Delineated or scored into standardized serving sizes if the cannabis product contains more than one serving and is an edible cannabis product in solid form. Homogenized to ensure uniform disbursement of cannabinoids throughout the product. Manufactured and sold under sanitation standards established by the State Department of Public Health, in consultation with the Bureau, that are similar to the standards for preparation, storage, handling, and sale of food products. Provided to customers with sufficient information to enable the informed consumption of the product, including the potential effects of the cannabis product and directions as to how to consume the cannabis product, as necessary. Marked with a universal symbol, as determined by the State Department of Public Health through regulation. What kind of track and trace system do I need to operate a Processing or Manufacturing Facility? California requires an extensive seed-to-sale cannabis tracking system to monitor processing and manufacturing efforts, which is especially important in this part of the supply chain due to conversions into multiple byproducts and higher amounts of waste. Our processing seed-to-sale-tracking solution provides comprehensive conversion tracking focused on compliant data points. ItWe are 100% compliant in California; let us sweat the details so you can focus on running your business. Customized to meet the unique regulatory frameworks in each state, BioTrackTHC also features an all-in-one business tool to help you operate every aspect of the cultivation business by itself, or as part of the vertically-integrated cannabis business. For full rules and regulations on California’s medical cannabis manufacturing program, click here. Laboratories test cannabis for concentration and contaminants. Prior to entering the consumer market, all regulated cannabis is required to undergo quality assurance testing. In California, Laboratories are licensed by the Bureau of Medical Cannabis Regulation. Individuals holding a license for laboratory testing may not have any stake in additional license types. The terpenes required by the bureau in regulation. Any other compounds or contaminants required by the bureau. Residual solvent or processing chemicals.Foreign material, including, but not limited to, hair, insects, or similar or related adulterant. Microbiological impurities as identified by the Bureau in regulation. Standards for residual levels of volatile organic compounds shall be established by the Bureau. The testing laboratory shall conduct all testing required by this section in a manner consistent with general requirements for the competence of testing and calibrations activities, including sampling and using verified methods. All testing laboratories performing tests pursuant to this section shall obtain and maintain ISO/IEC 17025 accreditation as required by the bureau in regulation. If a test result falls outside the specifications authorized by law or regulation, the testing laboratory shall follow a standard operating procedure to confirm or refute the original result. A testing laboratory shall destroy the remains of the sample of medical cannabis or medical cannabis product upon completion of the analysis, as determined by the bureau through regulations. Any presale inspection, testing transfer, or transportation of cannabis products pursuant to this section shall conform to a specified chain of custody protocol and any other requirements imposed under this division. The state released finalized rules outlining testing standards for things like moisture content, residual solvents, and processing chemicals, pesticides, microbiological impurities, mycotoxins, filth and foreign material, heavy metals, and terpenes. Labs would issue a certificate of analysis for each sample providing test results before cannabis or cannabis-related products can be sold to consumers. Labs will have to be licensed by the Bureau of Marijuana Control and would be required to show that employees are properly trained. For a full list of rules and regulations for cannabis laboratory testing in California, click here. Full-Vertical Integration means that a single licensee owns and operates every segment of the cannabis business supply-chain. It includes licensing for cultivation, distribution and transportation, manufacturing, and retail dispensing. In California, vertically integrated cannabis licenses are allowed, but only if operators hold one of several unique license combinations. Does California allow vertically integrated cannabis businesses? Yes, but there are limitations to how you are able to operate. There are many combinations of licenses that a business owner may hold to create a vertically-integrated cannabis business. These structures are put into place to restrict licensees from taking control of markets and monopolizing geographic regions. Here are the licensing combinations you can pursue if you’d like to operate a vertically-integrated business. 1. Type 1, 1A, 1B, 2, 2A, or 2B licensees may also hold either a Type 6 or 7 license. Type 1 through 2B are cultivation licenses varying from 500-10,000 square feet of canopy space (see cultivation tab for specifics). Type 6 and 7 licenses are manufacturing licenses. This combination would allow you to own a substantial cultivation facility as well as a full cannabis manufacturing and processing facility. 2. Type 6 or 7 licensees, or a combination thereof, may also hold either a Type 1, 1A, 1B, 2, 2A, or 2B state license. This is the same scenario as described in #1 – Type 6 and Type 7 processing licensee holders may also hold Type 1 through Type 2B cultivation licenses. It allows licensees to operate both the cultivation and manufacturing phase of the cannabis business vertical. 3. Type 10A licensees may apply for Type 1, 1A, 1B, 2, 2A, or 2B state license, or a combination thereof. This is the same scenario as #4, just reversed. This allows licensees of producing dispensaries to apply and obtain a cultivation license Types 1 through 2B. This allows distributors (Type 11) and transporters (Type 12) to receive a license for both. Transporters and distributors are not permitted to hold any other license types. What kind of track and trace software do I need to operate a full vertical cannabis business? California will require licensees to track and trace cannabis and cannabis-related products at every stage of the vertically integrated cannabis business supply-chain for regulatory and compliance reporting requirements. Our all-in-one cannabis business solution and inventory management system provides comprehensive seed-to-sale cannabis tracking with a focus on compliant data points. We are 100% compliant in California and one of the few cannabis track and trace software’s to feature a full vertical interface, allowing you to run the entire vertically-integrated business model through a single, uniform system; let us sweat the details so you can run your business. Full California cannabis licensing and regulations can be found here. How can I obtain a California Medical Marijuana Card? Before a patient can obtain medical cannabis in California, they must get a physician recommendation and, if desired, apply for a Medical Marijuana Identification Card (MMIC). In order to receive a recommendation, patients need to visit a qualifying physician with the required documentation. If the physician decides that medical cannabis is a viable treatment option, they will write the recommendation. What documents are required for an evaluation? What are the Fees for an evaluation? Once a patient has received their recommendation they are allowed to purchase medical cannabis. If they choose, they may register their patient or caregiver status with the California Department of Health and receive a Medical Marijuana Identification Card. Though not required, there are some advantages in obtaining a Medical Marijuana Identification Card. In most cases, a physician recommendation is all that is necessary to purchase cannabis from a medical cannabis dispensary. However, at the discretion of the operator, a dispensary may require a Medical Marijuana Identification Card to purchase cannabis. Additionally, cannabis sales to registered patients are not subject to sales tax. What documents are required to obtain a Medical Marijuana Identification Card? What are the fees for receiving a Medical Marijuana Identification Card? For more information on obtaining a physician recommendation or receiving a Medical Marijuana Identification Card, visit the California Department of Health Medical Marijuana home page. California’s Marijuana Program is operated by the Bureau of Medical Cannabis Regulation in cooperation with the California Department of Public Health (CDPH) and the California Department of Food and Agriculture (CDFA). Licensees are required to submit data to the state’s cannabis tracking system, METRC, and will be required to maintain records and logs of the following business information. Learn how BioTrackTHC users will never have to login to METRC! The California Cannabis Authority (CCA), a public entity established by county governments in California to develop and manage a statewide data platform for data related to cannabis regulation, tracking, and taxation for the following six counties in California: Humboldt, Mendocino, Monterey, San Luis Obispo, and Yolo. The CCA has chosen BioTrackTHC has their first approved software vendor. For more information on the CCA choosing BioTrack THC as an approved vendor – Click Here. All of this information, as well as the full written rules and regulations released by the California Bureau of Cannabis Control, can be found here. Want to see the most complete full-vertical METRC integration in cannabis? With BioTrackTHC, you’ll never have to login to METRC. Learn more. For the latest cannabis-related legislative updates on California, check out our Cannabis Bill Tracker! The following are direct rules and regulations pulled from the California Bureau of Cannabis Control. These requirements strictly focus on those that can be addressed by a cannabis track and trace system. The full set of rules and regulations for cannabis businesses in California can be found here. Additional information for California’s Cannabis Track and Trace System, click here. (1) Packaging of cannabis goods. (2) Sale of cannabis goods. (3) Transportation of cannabis goods to a licensee. (4) Receipt of cannabis goods. (5) Return of cannabis goods. (6) Destruction and disposal of cannabis goods. (7) Laboratory testing and results. (8) Any other activity as required pursuant to this division, or by any other licensing authority. (1) Name and type of the cannabis goods. (2) Unique identifier of the cannabis goods. (3) Amount of the cannabis goods, by weight or count. (4) Date and time of the activity or transaction. (5) Name and license number of other licensees involved in the activity or transaction. (i) The name, license number, and premises address of the originating licensee. (ii) The name, license number, and premises address of the licensee transporting the cannabis goods. (iii) The name, licensee number, and premises address of the destination licensee receiving the cannabis goods into inventory or storage. (iv) The date and time of departure from the licensed premises and approximate date and time of departure from each subsequent licensed premises, if any. (v) Arrival date and estimated time of arrival at each licensed premises. (vi) Driver’s license number of the personnel transporting the cannabis goods, and the make, model, and license plate number of the vehicle used for transport. (B) Upon pick-up or receipt of cannabis goods for transport, storage, or inventory, a licensee shall ensure that the cannabis goods received are as described in the shipping manifest, and shall record acceptance and acknowledgment of the cannabis goods in the track and trace system. (C) If there are any discrepancies between the type or quantity specified in the shipping manifest and the type or quantity received by the licensee, the licensee shall record and document the discrepancy in the track and trace system and in any relevant business record. (A) The name of the employee performing the destruction or disposal. (B) The reason for destruction or disposal. (C) The name of the entity being used to collect and process cannabis waste, pursuant to section 5055. (A) Spoilage or fouling of the cannabis goods. (B) Any event resulting in exposure or compromise of the cannabis goods. (c) Unless otherwise specified, all transactions must be entered into the track and trace system by 11:59 p.m. Pacific Time, on the day the transaction occurred. (d) Licensees shall only enter and record complete and accurate information into the track and trace system, and shall correct any known errors entered into the track and trace system immediately upon discovery. All of the California Bureau of Cannabis Control’s rules and regulations for cannabis licenses can be found here. The following are direct rules and regulations pulled from the California Department of Food and Agriculture and the California Bureau of Cannabis Control. These requirements strictly focus on those that can be addressed by a cannabis track and trace system. The full set of rules and regulations for cannabis cultivators in California can be found here. For the purposes of this Chapter, the term record includes all records, applications, reports or other supporting documents required by the department. (c) All records are subject to review by the department during standard business hours, or at any other reasonable time, or as otherwise mutually agreed to by the department and the licensee. For the purposes of this section, standard business hours are deemed to be 8:00am – 5:00pm (Pacific Standard Time). Prior notice by the department to review records is not required. (12) Records associated with composting or disposal of cannabis waste. (13) Documentation associated with loss of access to the track-and-trace system prepared pursuant to section 8402 (d) of this Chapter. (2) Records shall be stored in a secured area where the records are protected from debris, moisture, contamination, hazardous waste, fire and theft. 26067, 26069, 26160, and 26161, Business and Professions Code. (1) Weight. For the purposes of this section a licensee must use wet weight or net weight. Wet weight and net weight shall be measured, recorded and reported in U.S. Customary units (e.g., ounce or pound); or International System units (e.g., kilograms, grams, or milligrams). (3) Count. For the purposes of this section count means the numerical count of the individual plants or units. (h) Signature of the seller, or designated representative of the seller, acknowledging accuracy of the cannabis and nonmanufactured cannabis products being shipped. (i) Signature of the purchaser, or designated representative of the purchaser, acknowledging receipt or rejection of the cannabis or nonmanufactured cannabis products. Except as provided in section 8405 (e) of this Chapter, each licensee shall report in the department’s track-and-trace system the disposition of immature and mature plants, nonmanufactured cannabis products on the licensed premises, any transfers associated with commercial cannabis activity between licensees, and any cannabis waste pursuant to this Chapter. (a) The licensee is responsible for the accuracy and completeness of all data and information entered into the track-and trace system. Data entered into the track-and-trace system is assumed to be accurate and can be used to take enforcement action against the licensee if not corrected. (6) Correct any data that is entered into the track-and-trace system in error within three (3) business days of discovery of the error. (1) Once access to the track-and-trace system is restored all inventory tracking activities that occurred during the loss of access shall be entered into the track-and-trace system within three (3) business days. (2) A licensee shall document the date and time when access to the track-and-trace system was lost and when it was restored and the cause for each loss of access. (3) A licensee shall not transfer cannabis or nonmanufactured cannabis products to a distributor until such time as access to the system is restored and all information is recorded into the track-and-trace system. 8403. Track-and-Trace System Unique Identifiers (UID). (2) The licensee shall maintain a sufficient supply of UIDs in inventory to support tagging in accordance with this section. (3) The licensee shall use the track-and-trace system to document receipt of provisioned and distributed UIDs within three (3) business days of physical receipt of the UIDs by the licensee. (4) Except as provided in section 8407 of this Chapter, all cannabis shall be entered into the track-and-trace system by the licensee starting with seed, clone propagated onsite or purchased from a licensed nursery, or seedling purchased from a licensed nursery pursuant to this Chapter. (1) Licensees with immature plants shall assign a UID to each established lot respectively. The lot UID shall be placed in a position so it is visible and within clear view of an individual standing next to the immature lot to which the UID was assigned, and all UIDs shall be kept free from dirt and debris. For the purposes of this subsection, each lot of immature plants shall not have more than one-hundred (100) immature plants, at any one time. All immature plants in a lot shall be labelled with the corresponding UID number assigned to the lot and shall be contiguous to one another in order to facilitate identification by the department. (2) Immature plants transferred from a licensed nursery, via a distributor, to a licensed cultivator shall meet requirements of subsection (b)(1) above. Each immature plant intended for retail sale shall have a UID affixed, or be labeled with the corresponding UID number of the lot, and be recorded in the track-and-trace system prior to transfer from the licensed nursery. (3) The licensee shall apply a UID to all individual plants at the time any plant is moved to the designated canopy area or when an individual plant begins flowering, as defined in Section 8000 (l). UID shall be attached to the plant using a tamper evident strap or zip tie and placed in a position so it is visible and within clear view of an individual standing next to the mature plant to which the UID was assigned and UIDs shall be kept free from dirt and debris. Licensees are prohibited from removing the UID from the mature plant to which it was attached and assigned until the plant is harvested, destroyed or disposed. (d) UIDs are required for all cannabis and nonmanufactured cannabis products and shall be associated with the corresponding harvest batch name from which the cannabis and nonmanufactured cannabis products were derived. (e) Upon destruction or disposal of any cannabis or nonmanufactured cannabis products, the applicable UIDs shall be retired in the track-and-trace system by the licensee within three (3) business days of the destruction or disposal and be performed in accordance with the licensee’s approved cannabis waste management plan. 8404. Track-and-Trace System User Requirements. 8405. Track-and-Trace System Reporting Requirements. (a) Except as provided in section 8405 (e) below, the track-and-trace account manager or users shall report in the trackand-trace system any and all transfers of cannabis or nonmanufactured cannabis products to another licensed entity prior to the movement of the cannabis or nonmanufactured cannabis product off the licensed premises. (b) The track-and-trace account manager or users shall report in the track-and-trace system, any and all cannabis or nonmanufactured cannabis products physically received or rejected from another licensed within twenty-four (24) hours of receipt or rejection of the products. (d) The account manager or user shall be required to record information for each transfer of cannabis or nonmanufactured cannabis products to, or cannabis or nonmanufactured cannabis products received from, other licensed premises. weight shall be measured, recorded and reported in U.S. Customary units (e.g., ounce or pound); or International System units (e.g., kilograms, grams, or milligrams). (C) Count. For the purposes of this section count means the numerical count of the individual plants or units. 8406. Track-and-Trace System Inventory Requirements. (1) Voluntary surrender of a temporary license or annual license. (2) Expiration of an annual license. (3) Revocation of a license. (5) UIDs in the licensee’s possession which have not been assigned in the track-and-trace system. (e) All transfers and sales shall be documented pursuant to sections 8401 and 8405 of this Chapter. 8407. Track-and-Trace System Requirements for Product in Licensee Possession at the Time of Annual License Issuance. (a) Within thirty (30) business days of receipt of the UIDs ordered pursuant to section 8403 of this Chapter, the licensee shall enter into the track-and-trace system and assign and apply a UID to each existing immature plant lot, each individual mature plant, and all nonmanufactured cannabis products physically located on the licensed premises. Authority: Sections 26012 and 26013, Business and Professions Code. Reference: Section 26067, Business and Professions Code. 8409. Notification of Diversion, Theft, Loss, or Criminal Activity. Licensees shall notify the department and law enforcement authorities, within three (3) business days of discovery of any diversion, theft, loss of, or criminal activity related to licensee’s cannabis or nonmanufactured cannabis products. All of the California Department of Food and Agriculture’s rules and regulations for cannabis cultivation licenses can be found here. The following are direct rules and regulations pulled from the California Department of Health and the California Bureau of Cannabis Control. These requirements strictly focus on those that can be addressed by a cannabis track and trace system. The full set of rules and regulations for cannabis manufacturers in California can be found here. (a) The licensee shall prepare a written batch production record every time a batch of a cannabis product is manufactured. The batch production record shall accurately follow the appropriate master manufacturing protocol, and each step of the protocol shall be performed in the production of the batch. (1) The UID, and if used, the batch or lot number, of the finished batch of cannabis product and the UIDs of all cannabis products used in the batch. (iv) The initials of the person responsible for verifying the addition of components to the batch. (C) The results of any tests or examinations conducted on packaged and labeled cannabis products (including repackaged or relabeled cannabis products), or a cross-reference to the physical location of such results. (E) Either approved and released–or rejected– the finished cannabis product, including any repackaged or relabeled cannabis product. (12) Documentation at the time of performance of any required material review and disposition decision. (D) Include the identity of the product, the UID, and the lot number or batch identifier, if any. (4) The weighing device is used for commercial purposes as defined in section 12500 of Business and Professions Code. (b) For the purposes of this chapter, count means the numerical count of the individual cannabis product units. (c) For bulk shipments of cannabis and cannabis products, a licensee shall be licensed as a weighmaster, and a certificate issued by a licensed weighmaster, shall be consistent with the requirements in Chapter 7 (commencing with section 12700) of Division 5 of Business and Professions Code. 40282. Inventory Control – Cannabis and Cannabis Products. (a) A licensee shall establish and implement a written inventory control plan capable of tracking the location and disposition of all cannabis and cannabis products at the licensed premises. (b) A licensee shall reconcile the on-hand inventory of cannabis and cannabis products at the licensed premises with the records in the track-and-trace database least once every thirty (30) calendar days. Reconciliation shall be performed by one person and independently verified by a second person. (c) If a licensee finds a discrepancy between the inventory and the track-and-trace database, the licensee shall conduct an audit. (d) The licensee shall notify the Department within 24 hours if an audit reveals a discrepancy that is not within five percent of the documented inventory. (e) If a licensee finds evidence of suspected theft or diversion, the licensee shall immediately report the suspected theft or diversion to the Department. (d) Waste containing cannabis or cannabis products shall be entered into the track and-trace system as required under Section 40512. 40405. Primary Panel Labeling Requirements: All Products. (b) The primary panel text must be in type size no less than 6 point font and be in relation to the size of the primary panel and container. (c) Nothing in this section prohibits the inclusion of additional information on the primary panel. The content of other cannabinoids or terpenes may be included if such information is verified by the certificate of analysis issued by a licensed testing laboratory. (a) The words “cannabis-infused” immediately above the identity of the product in bold type and a text size larger than the text size used for the identity of the product. (b) The THC content and CBD content per serving, expressed in milligrams per serving. 40408. Informational Panel Labeling Requirements. (3) The following statement: “GOVERNMENT WARNING: THIS PRODUCT CONTAINS CANNABIS, A SCHEDULE I CONTROLLED SUBSTANCE. KEEP OUT OF REACH OF CHILDREN AND ANIMALS. CANNABIS PRODUCTS MAY ONLY BE POSSESSED OR CONSUMED BY PERSONS 21 YEARS OF AGE OR OLDER UNLESS THE PERSON IS A QUALIFIED PATIENT. THE INTOXICATING EFFECTS OF CANNABIS PRODUCTS MAY BE DELAYED UP TO TWO HOURS. CANNABIS USE WHILE PREGNANT OR BREASTFEEDING MAY BE HARMFUL. CONSUMPTION OF CANNABIS PRODUCTS IMPAIRS YOUR ABILITY TO DRIVE AND OPERATE MACHINERY. PLEASE USE EXTREME CAUTION. (11) The UID and, if used, the batch number. less than 6 point font. In such a case, the label shall include the warning statements required by paragraph (3) in a type size of no less than 6 point font, and the product shall be accompanied by a supplemental labeling that includes all of the information required by this section. The text of the supplemental labeling shall be no less than 8 point font. (8) Any other record or documentation required to be kept pursuant to this Chapter or the Act. (b) The records required pursuant to subsection (a) shall be maintained in a manner immediately accessible on the premises to the Department and any enforcement agencies upon request for a period of two (2) years, except that outdated standard operating procedures shall not be accessible to onsite employees. After two (2) years, records may be maintained by the licensee in an alternate manner, provided that the records can be made available to the Department or enforcement agency no later than 48 hours following a request and that the records are retained for a period of 7 years in total. (c) All documentation shall be maintained in English. (a) A licensee shall enter all commercial cannabis activities into the track-and-trace system within 24 hours of occurrence. (b) Within ten (10) calendar days of notification from the department that the annual license application fee has been processed, a licensee shall register for track-and-trace system training provided by the Department of Food and Agriculture or its designee. (c) If a licensee has not registered for training pursuant to subsection (a), the licensee shall register for training within five (5) business days of notification from the Department that the license has been approved. (6) Ensure that all inventory is tagged and entered in the track-and-trace system as required by Section 40512 or track-and-trace system requirements. (8) Monitor all notifications from the track-and-trace system and resolve all issues identified in the notification. The notification shall not be dismissed by an account manager until the issue(s) identified in the notification has been resolved. (e) No person shall intentionally misrepresent or falsify information entered into the track-and-trace system. The track-and-trace system shall be the system of record. The licensee is responsible for the accuracy and completeness of all data and information entered into the track-and-trace system. Information entered into the track-and-trace system shall be assumed to be accurate and may be used to take enforcement action against the licensee if not corrected. (f) The licensee is responsible for all actions that a track-and-trace system account manager or user acting as a licensee representative takes while logged into the track and-trace system or otherwise conducting commercial cannabis activities. 40512. Track-and-Trace System Reporting Requirements. (1) Receipt of cannabis material. (2) The transfer to or receipt of cannabis products for further manufacturing from another licensed manufacturer. (4) Transfer of cannabis products to a distributor. (5) Any other activity required by the track-and-trace system to be captured. (1) The licensed entity from which the cannabis material or product is received, including that entity’s license number, and the licensed entity to which the cannabis product is transferred, including that entity’s license number. (2) The name and license number of the distributor that transported the cannabis material or cannabis product. (3) The type of cannabis material or cannabis product received, processed, manufactured, or transferred. (4) The weight or count of the cannabis material or cannabis product received, processed, packaged, or transferred. (5) The date of receipt, processing, packaging, or transfer. (6) The unique identifier assigned to the cannabis material or cannabis product. (7) Any other information required by other applicable licensing authorities. (a) If a licensee loses access to the track-and-trace system for any reason, the licensee shall prepare and maintain comprehensive records detailing all required inventory tracking activities conducted during the loss of access. (b) Upon restoration of access to the track-and-trace system, all inventory tracking activities that occurred during the loss of access shall be entered into the track-and trace system within three (3) business days. (c) A licensee shall document the date and time when access to the track-and-trace system was lost and when it was restored and the cause for each loss of access. (d) A licensee shall not transfer cannabis products to a distributor until such time as access to the system is restored and all information is recorded into the track-and-trace system. (6) Cost to the purchaser of the cannabis or cannabis product. (a). Any commercial cannabis activity conducted between annual license holders shall be recorded in the track-and-trace system. (a) A licensee shall order UID tags within five (5) business days of receiving access to the track-and-trace system. The receipt of the UID tags by the licensee shall be recorded with the track-and-trace system within three (3) business days of receipt. (b) Any licensee in operation at the time access to the track-and-trace system is granted shall input all inventory into the track-and-trace system no later than 30 days after receipt of the UID tags. All of the California Department of Public Health’s rules and regulations for cannabis manufacturing licenses can be found here. CALIFORNIA SUCCESS STARTS WITH CONTACTING US!